A unique holiday to experience the Northern Lights. Churchill is located directly beneath the Auroral Oval and Northern Lights activity occurs around 300 nights a year. The holiday starts with a stay in Winnipeg, where you will visit the Manitoba Museum and Planetarium, enjoying a private guided tour. 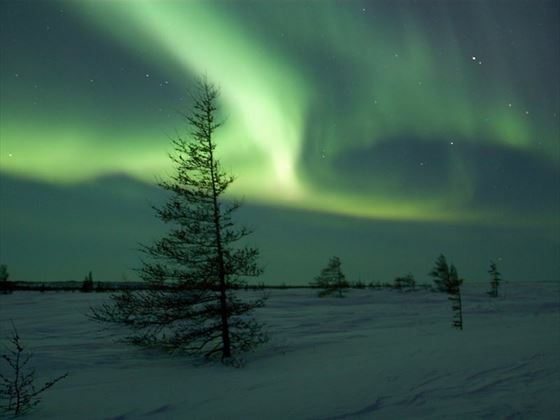 Then you will fly to Churchill where you will have many opportunities to see the Northern Lights. 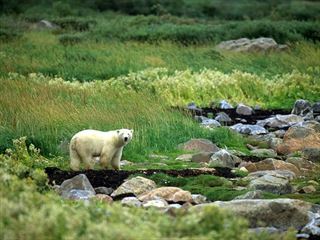 You will experience evening trips on the specially-designed Tundra Buggy, which will transport you comfortably into the heart of the Tundra for undisturbed viewing of this spectacular natural display. Visit the Manitoba Planetarium and enjoy a presentation, followed by an interactive programme - "Inuit: People of the North". 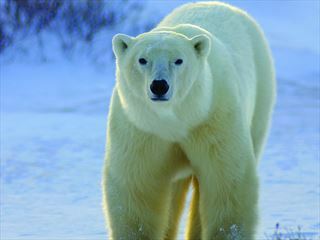 Take a private guided tour of the Manitoba Museum. 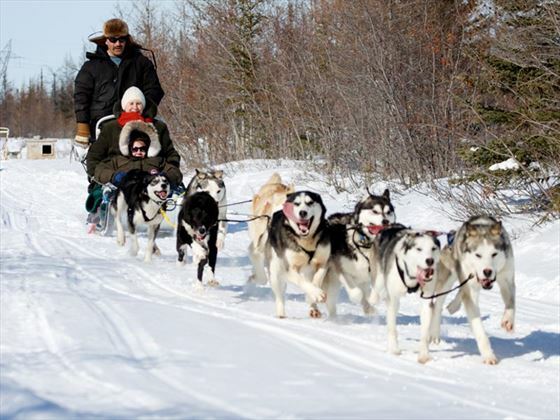 This morning enjoy a guided Churchill Town and Area Tour, then visit the Eskimo Museum. 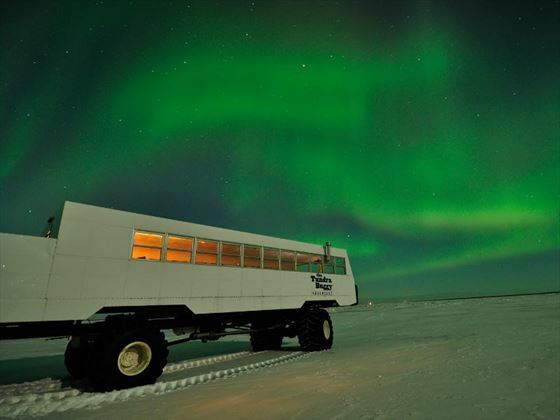 You will have a full evening viewing the Northern Lights from a Tundra Buggy. 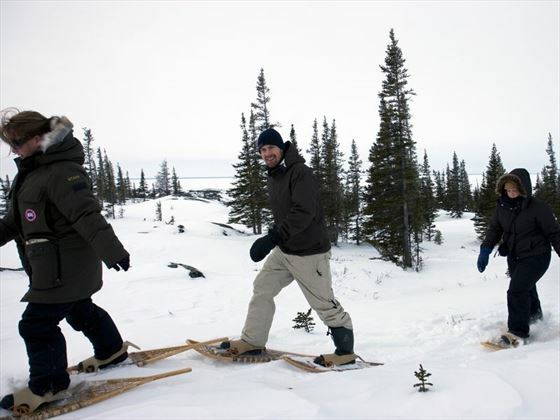 Today you will experience a snow-shoeing trek with a local resident. This evening, you will again take the Tundra Buggy out onto the tundra for uninterrupted sights of the Northern Lights. 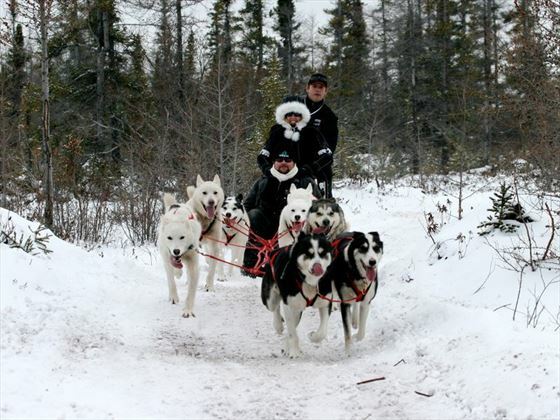 A local resident and dog sledding expert will take you out on an exhilarating dog sledding excursion. A final evening to enjoy and photograph the Northern Lights on the tundra. 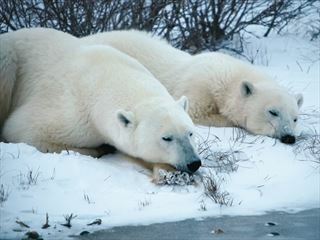 Check out of your Churchill hotel and then visit the Parks Canada Interpretive Centre for a special presentation. In the afternoon, fly back to Winnipeg. Today you will either fly home or continue your North American adventure. Please discuss if you would like to visit the Rockies, Vancouver Island or perhaps Toronto and Niagara Falls.